Over the past year, the state has launched a new day-care inspection system that requires more frequent visits to each facility, giving operators no notice at least once a year, the better to assess the true quality of each center. But it has come at a cost: The inspectors, who were already monitoring two to four times the caseloads specialists recommend, now spend far less time at most sites. State regulators and some providers say the system, which began in late 2017, will raise safety standards. But federal government officials acknowledge there is little research on how this revolution in oversight could affect the health and safety of the roughly 200,000 children in day care in Massachusetts, and millions more in other states that have adopted the abbreviated inspections. “It scares me,” said Richard Fiene, a retired Pennsylvania State University professor who studies early education. Massachusetts, like a growing number of other states facing pinched budgets, adopted the new approach to comply with a 2014 federal law. That law requires at least one unannounced inspection a year. Massachusetts used to inspect day cares every two to three years, but the checks lasted a full day rather than a couple of hours. Fiene developed the abbreviated inspection approach, known as “differential monitoring,” decades ago to help bureaucrats better target their time and resources toward the most problematic child-care programs. The point, he said, wasn’t to help states save money by cutting corners on inspections but to use sound data to discover which sites might not require as much scrutiny. What troubles Fiene is that there has been little research since to measure the efficacy of shorter inspections in preventing child injuries and deaths. “My intent was to improve the overall quality of care,” he said. Tom Weber, commissioner of the Department of Early Education and Care, said the state’s new system is backed by “research, technical assistance, and the deep experience of licensing experts.” The department, he added, has made “significant advancements” in the last four years, modernizing its licensing from paper-based to a computer system. But caseloads are still enormous. In Massachusetts, some inspectors today are monitoring as many as 241 providers, according to state documents recently submitted to federal regulators. That’s up to four times the caseload recommended by child-safety experts — better than it was a few years ago, but still nearly triple the national average, according to a 2018 report from the National Center on Early Childhood Quality Assurance. 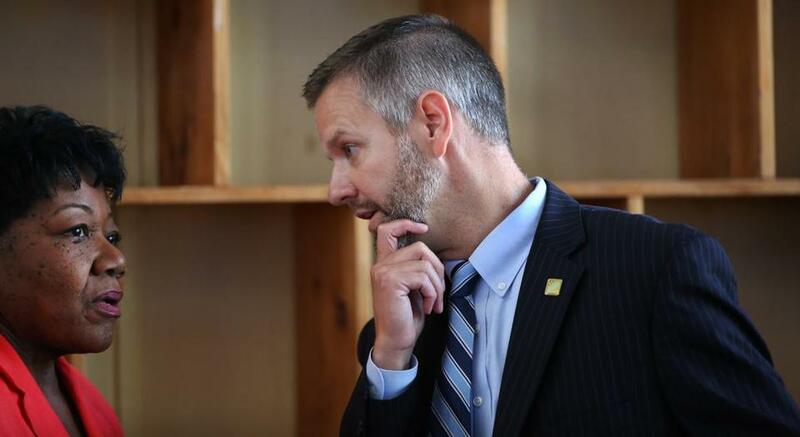 Peter MacKinnon, president of SEIU Local 509, which represents the inspectors — referred to by the state as licensors — said the union has long implored the state to hire more people. Even under the new system, he said, inspectors too often have to “triage” decisions about what they check at day-care sites. The Child Care and Development Block Grant Act of 2014 required major upgrades in the way states monitor their network of programs, mandating at least one unannounced inspection for each one annually. States were given flexibility on the start date, and Massachusetts launched its system in the fall of 2017. The state has acknowledged its shortage of inspectors for years, but it’s done little to fix the problem. A legislative commission reported in December 2013 that inspectors monitoring child-care programs in private homes carried caseloads as high as 300 per inspector. Today that ratio is averaging about 212, according to the Department of Early Education and Care. But the average caseloads for inspectors monitoring programs in centers — where most children are cared for — have climbed from about 90 each in 2014 to 113 today. The report noted that Massachusetts ranked second in the country for strict child-care licensing requirements, but nearly dead last — 48th — for monitoring whether programs are complying with those standards. The department said it plans to hire at least five more inspectors this year, but it won’t lighten the load for the current ones. Instead, the new hires will be used to inspect about 700 additional child-care programs that receive public funding but are not licensed and have historically been exempt from state inspections because they are run by religious organizations or private and public schools. Under the new inspection regime, programs with solid histories of complying with regulations get a once-over. Inspectors focus on just a few dozen issues that are deemed critical, such as whether the provider has completed background checks on staff and whether staff place children safely for nap times. If problems are detected, then the inspector will extend the visit. Sites that have demonstrated poor compliance in past inspections receive more comprehensive and frequent inspections, the department said. But all 9,000 state-licensed programs will receive at least one annual unannounced inspection, according to the department. Although federal regulators signed off on Massachusetts’ abbreviated inspections, they had noted in a 2015 report a “lack of comprehensive data” on deaths and injuries in child care and how they relate to licensing and enforcement. The Department of Early Education and Care said there were three reported fatalities and about 300 serious injuries in each of the last two years. But regulators could not provide numbers for the years prior to 2017. For their part, child-care program managers give the new Massachusetts system high marks. Sharon MacDonald, director of programs for Guild of St. Agnes, a Worcester nonprofit agency that serves about 1,600 children in 12 centers and about 135 home-based sites, said the unannounced visits are “more anxiety-producing” because operators aren’t sure when an inspector will walk through their doors.